HomeWoods survival4 DAY WILDERNESS CAMP e1 The Storm. 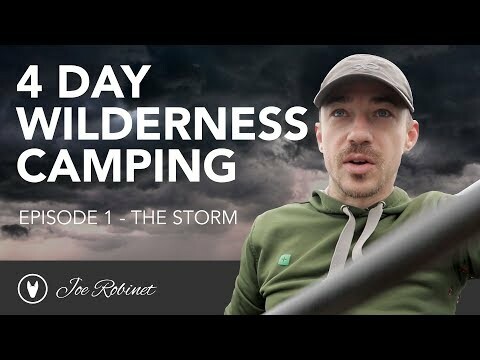 October 1, 2018 mrwonderful Woods survival Comments Off on 4 DAY WILDERNESS CAMP e1 The Storm. Join us on an epic 4 Day Wilderness Camping Trip. We set out by canoe into the wilderness of Ontario in Algonquin Park. We battle storms, strong wind,rain and exhaustion over the course of our grueling route through wilderness. We see a lot of very cool things, experience trees falling 20ft from us at camp, getting wind bound and having to change course to complete our journey through the Wilderness in 4 Days. Come along and enjoy the journey. EPIC 4 DAY WILDERNESS CAMP e2 STRANDED! Wind Bound on an Island. What is Wilderness Survival Instructor Mors Kochanski Doing Now? July 8, 2018 Comments Off on What is Wilderness Survival Instructor Mors Kochanski Doing Now?